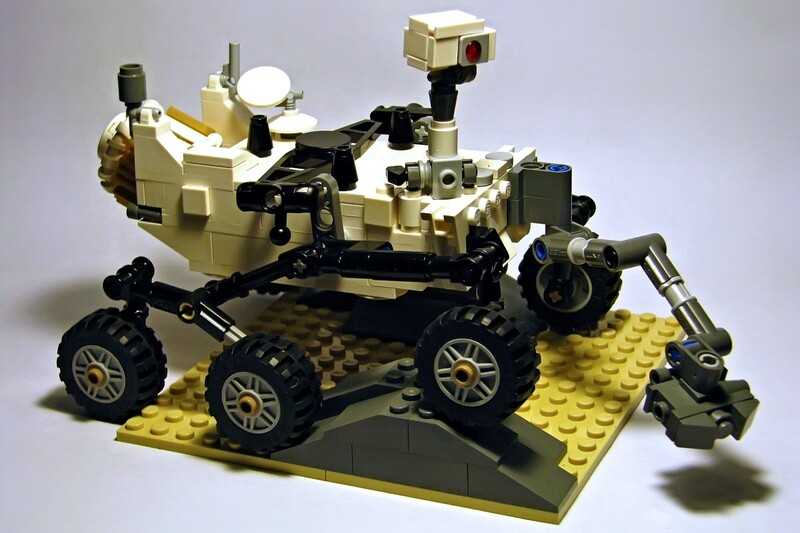 The Return of Lego… from Mars! I always wanted to write something about Lego here. Last year I missed the 55th anniversary of the Lego brick, a half-finished article written in German is still around somewhere in the blog drafts – but somehow I never got around to finish it. But now I actually have a reason to write about Lego, because today my first Lego set since about 1987 arrived today. It’s, of course, the Lego Cuusoo model of the Mars Curiosity Rover, which had fascinated me since its designer Steven Pakbaz, a real Curiosity engineer, had first unveiled a prototype back in autumn 2012. 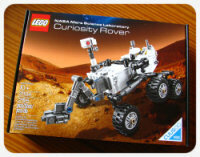 Now it’s available as a real Lego set and since it wasn’t too expensive, I just could not resist and ordered it. I didn’t expect it to arrive until mid-February, but surprisingy it came today. Just a quick update what’s going on here on the blog except all the computer nostalgia: It’s been a while since I had decided to switch over all my websites completely into English, but the blog templates are still mostly German. Yesterday I finally started changing this here on the blog – fortunately I designed the template in such a flexible way that I only have to change some text descriptions in the code. What I’m not going to do, of course, is to translate all the older blog posts, but everything from now on will be in English, save for some very seldom exceptions. While I was poking around in the template, I also did something I wanted to do a long time ago: I changed the links in the top menu bar from the old HTML parts of the website to the blog categories. 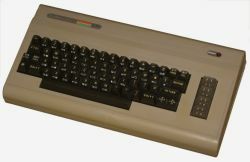 That means that the buttons Books, Music, Computer, Games and Sim now point to the respective blog categories instead of the very old and only half-finished HTML-only parts of the site. DVDLog and Foto will continue to redirect to the two external sites, though. This is only a temporary measure – the grand plan is still to make dedicated landing pages for these sections which will display the latest blog postings from the category, but also will have their own menus and subpages. I haven’t deleted the old pages from the server, they’re still there – only they’re not linked from the main menu anymore. The first section which I will probably work on is the Computer area. 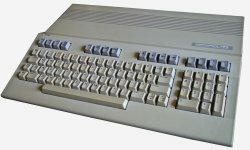 The current Vintage Computing postings will be a basis for the Commodore section, but the goal is to create a full computer history almost up to the present day. The other “microsites” will be created when I have time or just when I feel like it – the bottom line is still that this whole website has been under construction since I first started it in 1998 and it probably always will be. It’s been fun so far and I see no reason to stop tinkering with the website :-). 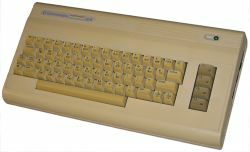 In the previous post, I had written about my own original Commodore 64 from 1989, which was actually the very last model sold, a C64-II. Many years later, around 2003, when I already had acquired a C128D as a replacement for my broken floppy drive, I decided to get some more of the Commodore hardware I never had, specifically an original C64 of the first generation. In those days there were plenty of C64 auctions on Ebay to choose from and finding specific models like the one in this photo was not difficult, but this computer still needed a little work to be museum-worthy. In October 2012, I had written a blog post with a collection of Google+ Hangouts, which I had last updated and translated into English about a year ago. Since it’s been a while and some things have changed, it’s time for another updated and revised edition, which now includes not only on-air hangouts, but also a couple of Podcasts from an earlier article I had originally written in German only. 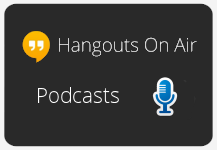 It does not matter if you have time to watch hangouts live, because everything is archived and together with the enormeous archives of the podcasts there is a lot to discover. With this collection, you can fill your media player queues for years! Two years ago, at the end of the second live broadcast of Astronomy Cast, Pamela Gay and Nicole Gugliucci announced their amazing citizen science project CosmoQuest, in which, of course, also many other amazing people are involved. Myself, I didn’t even notice it until much later, but when watching some early Astronomy Cast videos last year, I discovered that the moment of announcement on January 1st, 2012 was actually preserved for posterity in the video I’ve embedded below. So, this is where it all began two years ago. 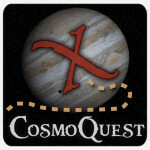 I hope that CosmoQuest will have a bright future, despite all the recent funding problems. But they all have done so much and built such a momentum that I think cannot be stopped that easily!